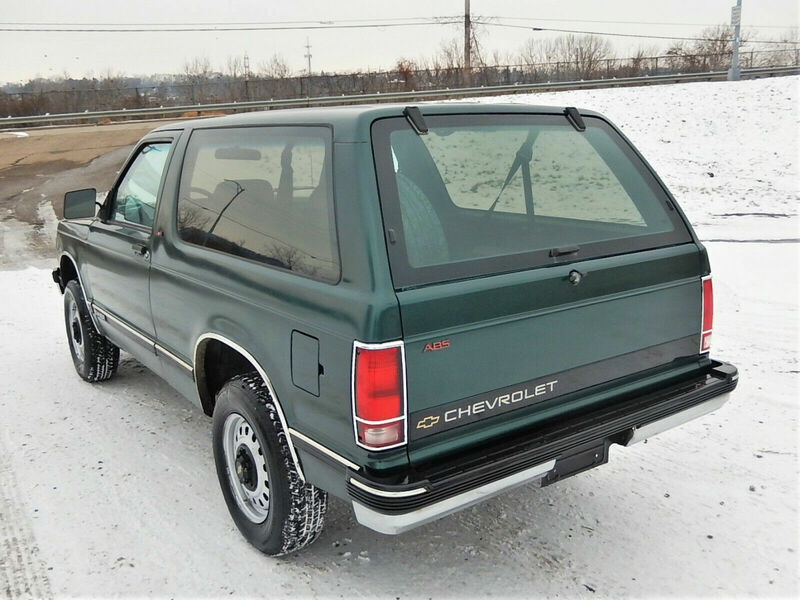 The first generation Chevrolet S-10 Blazer/Jimmy was a compact SUV built on the S-10 pickup chassis starting back in the when Sting recorded "Every Breath You Take" and ended around the time of "If I Ever Lose My Faith In You". The Blazer offered some level of truck utility and seating for 5 people, but did not offer a removable hardtop like the full-sized K5 Blazer/Jimmy. 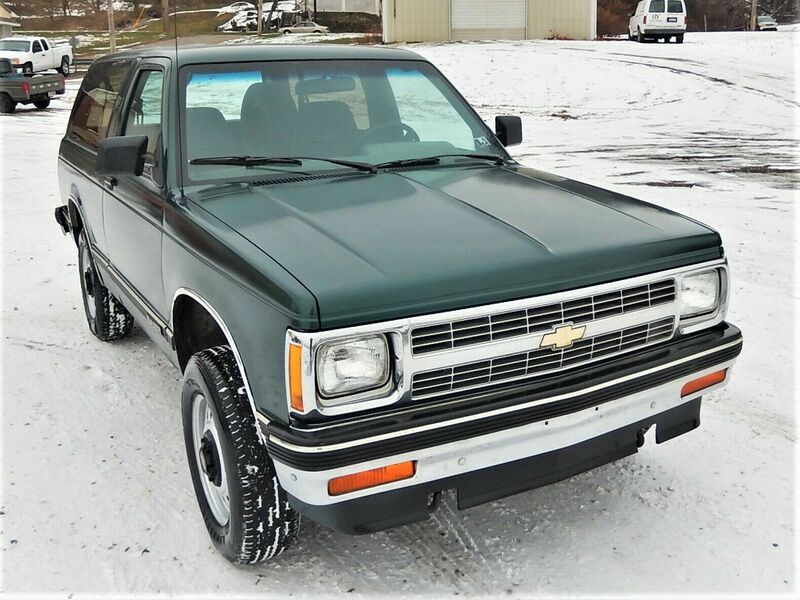 Find this 1992 Chevrolet Blazer SLT here on eBay bidding for $3250 with a few hours to go, located in snowy Struthers, OH. 1992 Chevrolet S-10 Blazer SLT: 4.3 liter v6 engine/4-speed automatic transmission w/overdrive. 99,000 miles. Excellent overall condition. The motor runs strong, and the transmission shifts smooth. The 4x4 works great. Both the body and interior are in very good shape. Original AC-Delco am/fm stereo. Tilt steering wheel. Manual locks, and roll-down windows. Being sold at NO RESERVE. The highest bid wins. If you have any questions, or would like to come take it for a test drive before you bid, you can reach me directly @. You can click on the "Shipping and Payments" tab, enter your zip code, and get instant quotes for shipping. Also, I work closely with Beacon Shipping, and can get you a quote through them. We require an immediate $500 non-refundable paypal deposit, and full payment within 7 days For the remaining balance, we accept cashier's check, money order, or cash. Also, there is a $99 documentation/title fee for every vehicle sold. Warranty packages are available starting at $199. All vehicles are available for pickup or shipping once payment has cleared. All vehicles are to be picked up within 2 weeks of sale. I can typically accommodate buyers if they need more time. Just call me first. Ohio residents are subject to Ohio sales tax. Happy Bidding!